Yale University, founded in 1701, is the third-oldest institution of higher education in the United States and one of the nine Colonial Colleges chartered before the American Revolution. The Yale School of Music was established in 1932 and today is one of the 12 professional schools at Yale. 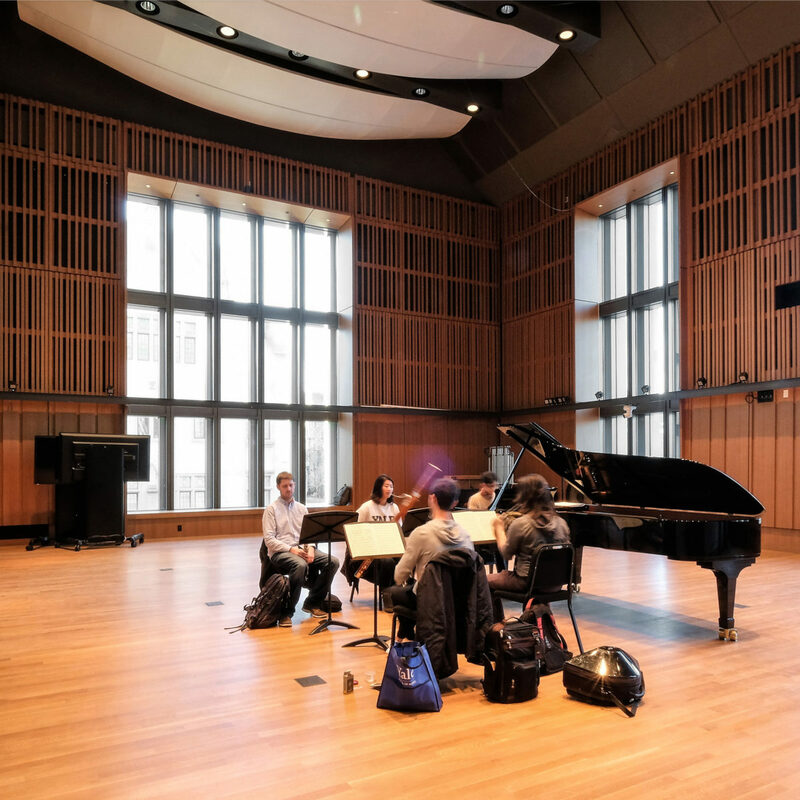 After a two-year renovation project, Hendrie Hall reopened in January 2017 as part of the new Adams Center for Musical Arts, which connects Hendrie to Leigh Hall by way of a new structure that is anchored by a stunning orchestra rehearsal room for the Yale Philharmonia and the Yale Symphony Orchestra, and an atrium in which students from the School of Music and Yale College can gather. 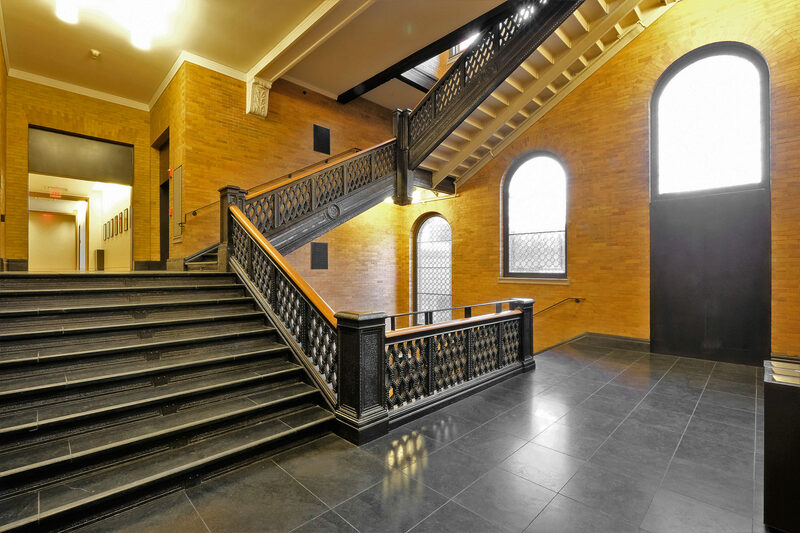 Renovations to Hendrie Hall included extensive acoustic-design work and the preservation of important architectural features such as the building’s iconic cast-iron staircase and the mosaic tile and stone in the Elm Street entranceway. 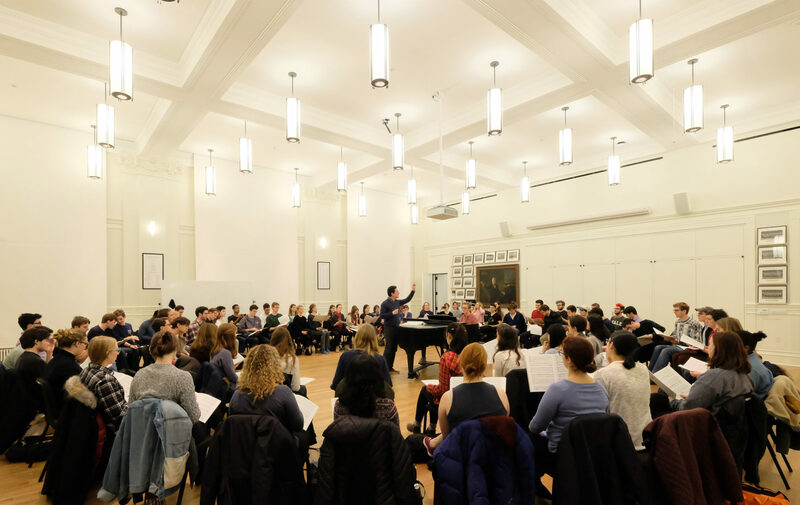 The program included rehearsal spaces for the Yale Band, Glee Club and Symphony, and resulted in more individual practice rooms and faculty studios than existed previously in Hendrie Hall. 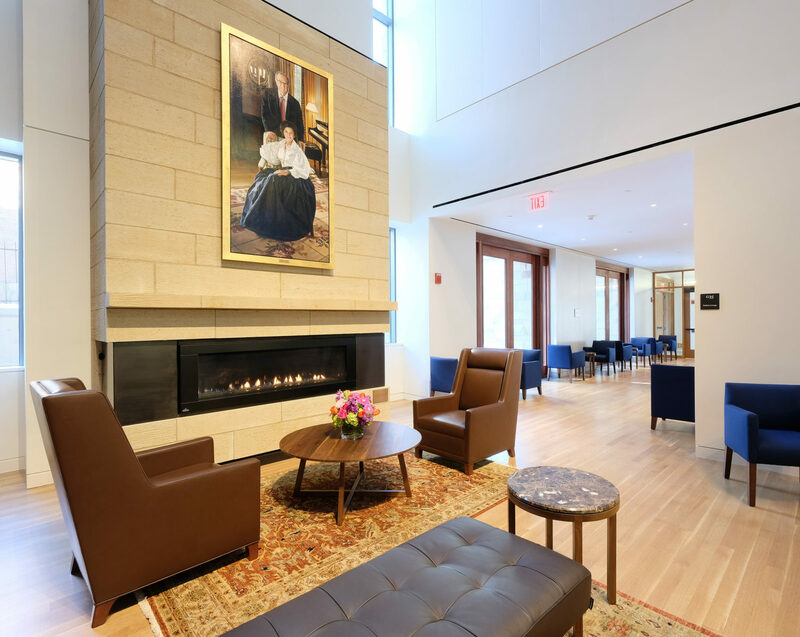 The greatest challenge was adding climate control systems with an upgrade to achieve critical acoustical quality within an existing 100-year old building. The most critical spaces are served by constant volume air systems to maintain the ideal background sound conditions to support the critical acoustic program of the spaces. Large rehearsal or gathering spaces are conditioned with the use of single-zone air-handling units. Practice rooms and faculty offices utilize fan-powered terminal units or active chilled beams with centralized primary air distribution for ventilation air. The air systems include humidity control elements to reduce variations in the many musical instruments housed throughout the building. The stability of the temperature and relative humidity supports the longevity of the instruments and reduces the frequency of instrument tuning. Altieri provided energy modeling services to support utility rebates sought by the university. The program is designed to perform 20% better (in energy costs) than the ASHRAE 90.1-2007 baseline building.